Why does Rabbi Israel say I am Rabbi Na Nach Nachma Nachman, I am the Moshiah- why does Rabbi Nachman come back to die again? 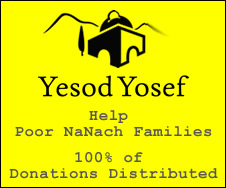 The 100% level of Rabbi Nachman surpasses ONLY Yosef HA TZADDIK! I will argue this but it's a "by definition" thing. Why did Josef need Moshe? Rabbi NA NACH brings our judaisim OUT OF THE GHETTO AND TO THE WORLD!